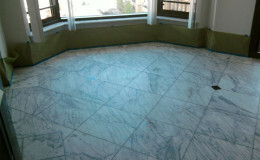 Calls from commercial property owners complaining about dull, lifeless looking marble are common. Many people assume the worst, that the stone is ruined and must be replaced. Fortunately, natural stone is different than other surface material in that the damage can be honed and polished away, revealing the beautiful, undamaged appearance underneath. 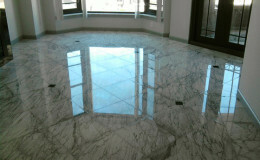 Hi-Tech Cleaning Services can bring your etched, scratched, or otherwise damaged marble back to life, restoring it to like new or better. Our professional technicians are certified in stone restoration and maintain the highest standards in everything they do, from cleaning and polishing to honing, grinding, and sealing. 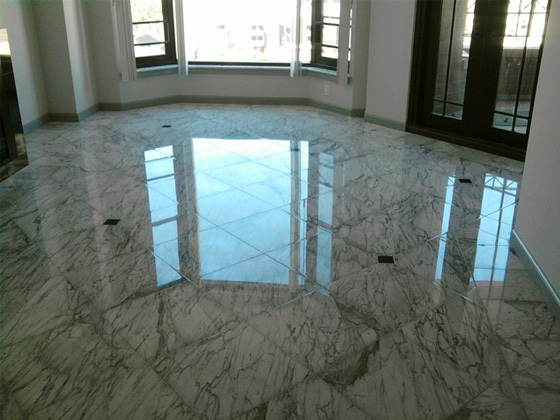 Most problems with marble, no matter how complicated, can be quickly resolved by our expertise, state-of-the-art equipment, and effective cleaning products. 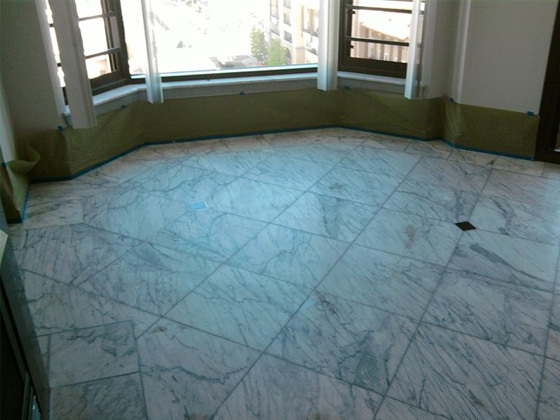 Contact us today, so that we can produce the same dramatic difference you see in these images on your marble floors and surfaces. Call (914) 423-4600 or contact us online to learn more about our fine surface care, including marble and specialty cleaning, in Westchester and the greater New York City area.